Should a real estate agent choose the cheapest real estate photographer they can find? 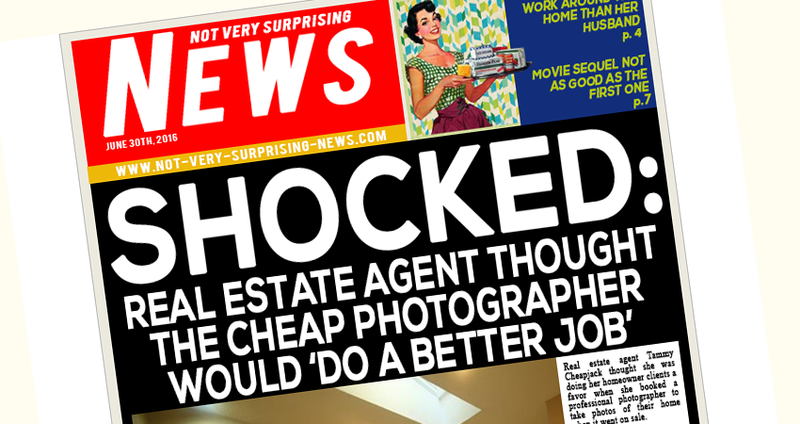 Real estate agent Tammy Cheapjack thought she was doing her homeowner clients a favor when she booked a professional photographer to take photos of their home when it went on sale. Ms Cheapjack paid $45 for a photographer to take photos of the property at 1290 Upmarket Street. She contacted a company called ‘Budget Photography’, and arranged for the photo shoot last Monday. “These guys were so cheap! I was so pleased when I found them. And they were only at the house for 9 minutes, which I thought was terrific,” said Ms Cheapjack. Receiving the photos three days later, she thought they were a little disappointing. However, the owners at 1290 Upmarket Street did not share the same enthusiasm. At a meeting with the owners the next day, they made their desires clear to Tammy Cheapjack, and another photography company was booked that same day. Note: The story, all names, characters, and incidents portrayed in this production are fictitious. No identification with actual persons, places, buildings, and products is intended or should be inferred. No person or entity associated with this blog post received payment or anything of value, or entered into any agreement or connection with the depiction of tobacco products. 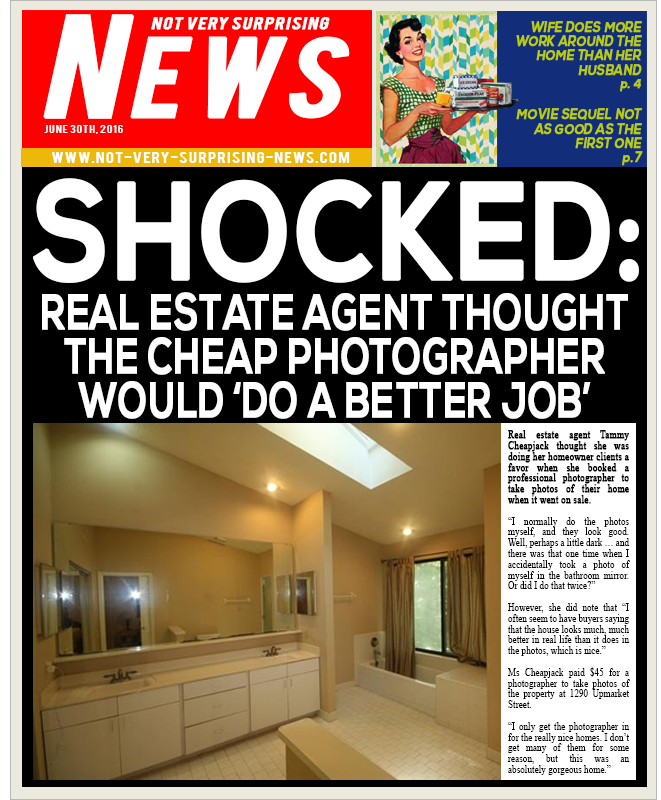 No real estate agents or photographers were harmed in the making of this piece of satire.